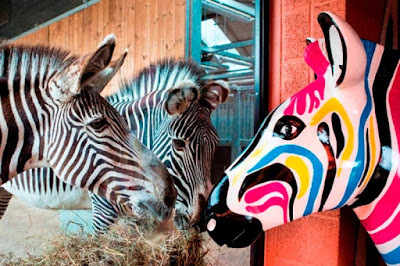 A life-sized zebra sculpture which is due to form part an art trail in Southampton, Hampshire, has been stolen, a wildlife charity has said. Marwell Wildlife said the multi-coloured zebra, known as "Gilbert", was taken from the back of a truck in the Bassett area of the city overnight on Tuesday.It has been used as a mascot ahead of the free trail which will feature 150 zebras and is due to start on 16 July. It had been due to travel to London Waterloo for a roadshow on Wednesday. 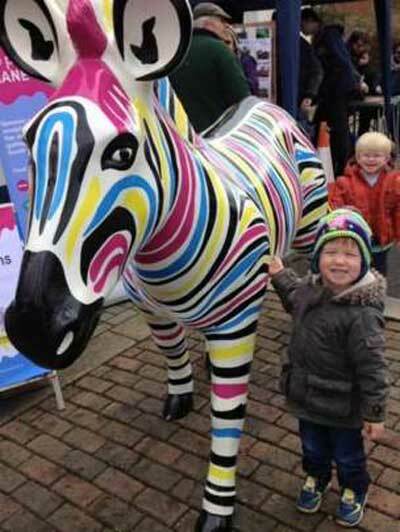 Police confirmed they were investigating the theft of the 5ft (1.5m) x 6ft (1.8m) fibre glass zebra. "He's our poster boy for the whole campaign," said Becky Churcher from Marwell Wildlife. 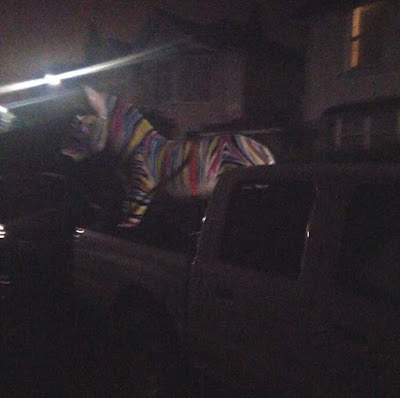 "He was strapped onto the pick-truck but all the straps were cut, he was lifted out and taken away," she said. 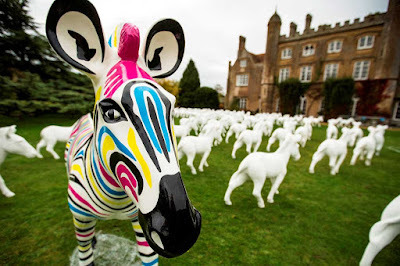 Ms Churcher said the charity was "devastated and shocked" by Gilbert's disappearance because "an enormous amount of work goes into creating these sculptures". The sculptures, many of which are currently in storage or being painted, will be auctioned for charity in October, with funds raised going to Marwell Wildlife.